At staff meetings, pictures are an appropriate means to illustrate the crisis in the company. Use strong images instead of words in staff meetings to express the crisis situation in a company effectively. Your advantage: The message of an image remains much longer with your employees and enhances discussion among them. Today, I present to you three pictures that have proved particularly successful in communication with employees. A picture is worth a thousand words. This phrase may seem commonplace, but it is also true – and maybe particularly so – in times of crisis. Use the images of a clock, a bicycle and an elephant in your next staff meeting to inform your employees in no uncertain terms of the critical situation in the company. Quarter to twelve: It is time to bring the company back on track. 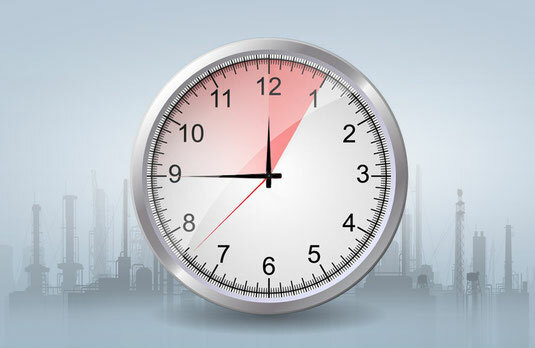 On a clock show the current state of the crisis by placing the pointers symbolically at quarter to twelve. This means that there is still time to reorient the company and get a grip on the crisis. That is to say up to five to twelve - then things will be getting really tight. As soon as it past twelve, it is too late. Then the insolvency administrator usually takes over and determines the direction – no longer you. The insolvency administrator has to satisfy the creditors who naturally want to see money. The image of the clock makes your employees understand: There is still time, but prompt action is mandatory to prevent insolvency. 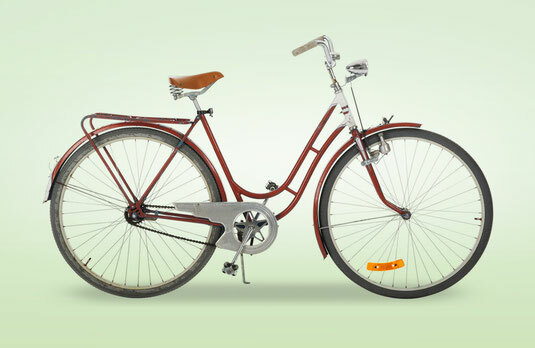 Similar to a bicycle, all the elements of a company have to be coordinated to ensure it runs. The bicycle: How do we get the company up and running again? Explain to your employees that a company works like a bicycle: In order for it to function, the individual elements must interlock. Dismissal of five employees corresponds, for example, to the removal of five links from the bicycle chain. But that does not mean that the bike will run again. You have to check the whole bike and also adjust other elements, such as the frame or the handlebar. The restructuring must be comprehensive and not limited merely to staff cuts – that would be too simple. Crises are complex: The comparison between the bicycle and the company will generate the desired aha-effect among your employees. Which units are necessary to achieve the common business objective? The elephant: Where to save? A certain amount of money is to be cut - but where exactly should cutbacks be made? 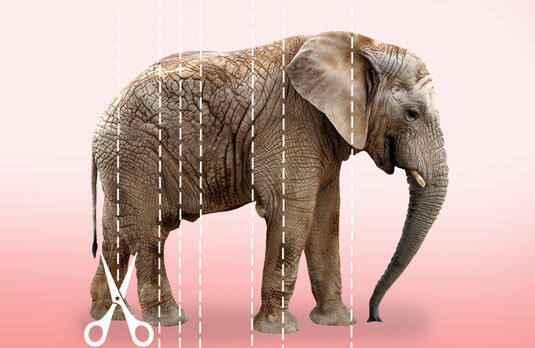 Compare your company with an elephant and cut it into several slices, each of which stands for a business area. At the staff meeting discuss with your employees: Where do we want to go together as a company? What parts of the elephant can we do without? Take the results into the executive circle to elaborate and adopt appropriate measures. Trust in the power of the images: Visualized thoughts are rich in information and quickly create a common communication level. These three images convey the complex situation in the company in a simple way and encourage your employees to discuss the fundamental issues of the crisis.